You are here: Home » Archive » Do we get lost easily? I received the nickname “little wanderer” right after high school on a rapelling trip in Wisconsin with some friends. I thought that was the end of my wandering till I validated it again when trying to lead a team around Tong Du Chon, South Korea. 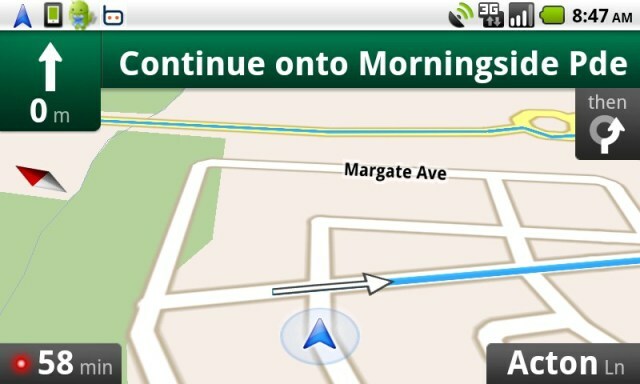 Thankfully, someone invented Google Maps and (most of) my wrong turns are over. Obviously, we can make wrong turns in other areas of life beside driving. What are some mistakes we can make when approaching the study of sacred texts? The next generation will look at some things we hold as self-evident and smile. Or do we think that we stand on the pinnacle of thought? Some questions for the experts we trust about life after death, God, etc…. Here is a scholarly Mormon article describing how the significant influence of social factors on their beliefs. In an interesting moment of vulnerability, it admits that most Mormons are Mormon not because of the evidence, but because of relationships. And if you’ve ever felt defensive when people talk about ethics or spirituality, it’s evidence of the role our emotions play in what we believe. Then our will and desires slide in there because we intuitively know that there are high stakes when we are talking about who is the authority in our lives. We can’t avoid the ultimate questions forever and like the agnostic in the bus station… by choosing not to chose, we actually make a choice. Fail to chose a bus and we still make a choice and are left sitting at the station. One of my favorites is its uniqueness in fulfilled prophecy. Consider Isaiah 53, which prophecies specific aspects of Christ’s death and resurrection several hundred years before it happened. The recent Dead Sea Scrolls discovery has provided us with a copy of that passage in Isaiah 2 centuries before Christ lived. If you want to dig more into how the Bible is unique, borrow New Evidence that Demands a Verdict from us. Book of Mormon. This article – written by a Mormon – is an example of some of the historical problems with the Book of Mormon. Quran. Many of our Muslim friends assert that it is completely unchanged. However, it has a textual history. Consider the differences from today’s Koran in the findings of some of the most ancient Koranic manuscripts. Whatever sacred text you are examining, why not apply the same 3 tests for historicity that we talked about the first week and see how they stand up? What authority in your life has the place of most influence for you? Is it allowed to be critically examined? What is at stake for you as you chose what authority to listen to? What would those you care about think if you placed your confidence in the Bible? for a friend who has questions about the Injeel (New Testament): Is the Injeel Corrupted?